Cycle clothing manufacturer Foska has introduced a striking Heinz tomato ketchup jersey to its existing line of food-and-drink themed tops, which already includes classics such as Marmite, London Pride and Pukka Pies. 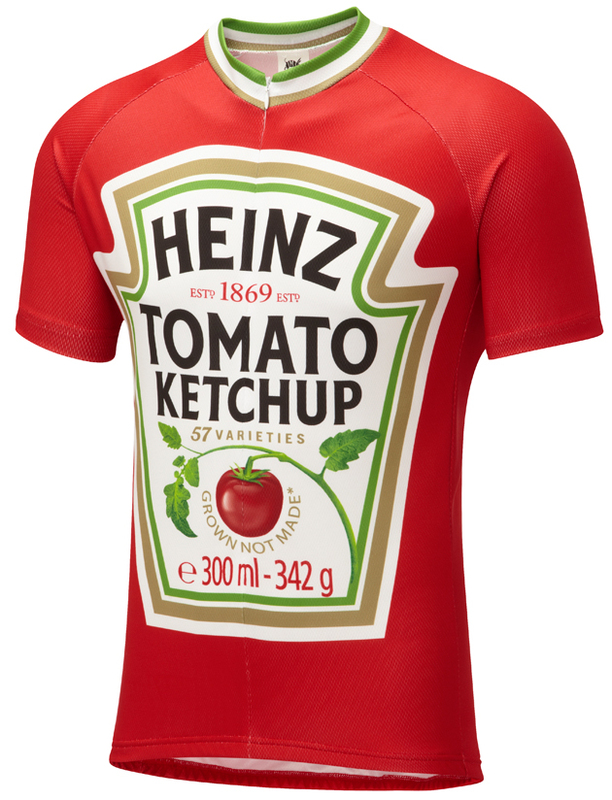 Officially endorsed by Heinz, the jersey features a huge reproduction of the iconic tomato sauce label which is sure to make your riding companions feel hungry after a few miles. The jersey is made from Coolmax material and features a 3/4 length zipper at the front and three pockets at the rear. The jersey retails for £48.95. More information and online purchasing at www.foska.com.